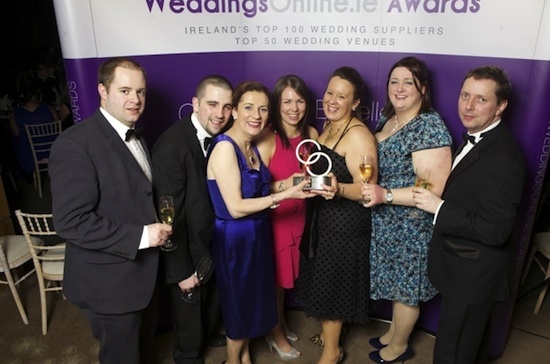 CO DONEGAL hotels are celebrating after sweeping the boards at the annual WeddingsOnline awards. The Silver Tassie outside Letterkenny, Solis Lough Eske and Harvey’s Point cleaned up in the awards. Lough Eske Castle scooped two awards at the third annual WeddingsOnline.ie awards as Best Castle Wedding Venue, while Noreen Lyons of the same venue scooped the prestigious Wedding Co-Ordinator of the Year. Harvey’s Point in Donegal took the big prize of the night: the Overall Wedding Venue of the Year. And the Silver Tassie was named Ulster Wedding Venue of the Year. More than 17,000 brides and grooms across Ireland voted for their Top 100 Wedding Suppliers and Top 50 Venues, who were then judged by an expert panel based on quality of work and a real wedding experience.